Tim Carter joined us last week as an environmental Technical Director based in our Newport Office. He brings over 25 years’ experience in the environmental assessment of major infrastructure projects gained across a range of sectors, including marine, coastal defence, habitat creation, energy, major highways, leisure, mining, property and rail. “We are very pleased to welcome Tim to JBA where he will play a leading role in supporting the further growth of our environmental services. His large-scale infrastructure experience and enthusiasm for developing environmentally sound solutions will be valuable for us and our clients” commented Steve Maslen, Head of Environment. Providing environmental advice across the company, Tim will be responsible for developing business with new and existing clients, primarily across our offices in Wales, the Midlands and Southern England. “Having worked in Cardiff and Bristol previously, I’m very excited to be joining JBA in Newport and look forward to supporting the wider environmental team to develop work across the south” commented Tim. Tim’s recruitment is indicative of our continued growth in the engineering and environmental sectors. We now have over 100 environmental staff working across the business supporting projects ranging from new prisons to major coastal protection schemes. The strength of our expertise was recently recognised by the award of the IEMA EIA Quality Mark. Read more about us and the IEMA EIA Quality Mark. 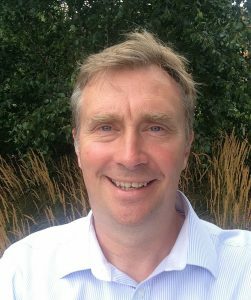 Previously Head of Environment with renewable energy developer Tidal Lagoon Power (TLP) based in Gloucester, Tim was responsible for leading the in-house environment team. This involved directing the environmental input for Tidal Lagoon Swansea Bay and progressing the environmental assessment for Tidal Lagoon Cardiff. Tim is well-known within the industry in Wales and the southwest through his previous consultancy roles, his work as an expert witness and his involvement in the environmental assessment of tidal energy. A member of the Offshore Renewables Joint Industry Protocol (ORJIP) group on tidal and wave energy, Tim has presented papers on TLP’s tidal range proposals at the annual Coastal Futures conference. He is a full member of the Institute of Environmental Management and Assessment (IEMA), a Chartered Member of the Landscape Institute and a Chartered Environmentalist. During his time with TLP, Tim oversaw the discharge of environmental requirements for Swansea and the establishment of the Evidence Plan process for the Cardiff Development Consent Order (DCO) application. The Cardiff Evidence Plan was developed with statutory consultees and stakeholders to agree the scope and methodologies of survey work to support the Habitats Regulations Assessment (HRA). Email Tim Carter for more information on how we can help you with the environmental assessment of major infrastructure projects. You can also find out more on our Environmental impact assessment web pages.